Because they play such an important role in the HIV healthcare system, we regularly spotlight really exceptional ASOs around the country. If you feel your ASO should be featured here, send me an email at lporter@phpubs.com and let me know why! 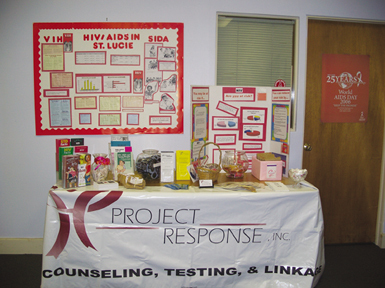 Project Response was founded in 1990 in Melbourne, Florida, by a group of concerned individuals operating from shared office space. In time, the agency was asked to take over the caseload of another agency, and today Project Response has two main offices-in Melbourne and Fort Pierce-and five satellite offices. The agency serves approximately 1,400 case management clients in Brevard, Indian River, St. Lucie, Martin and Okeechobee Counties. 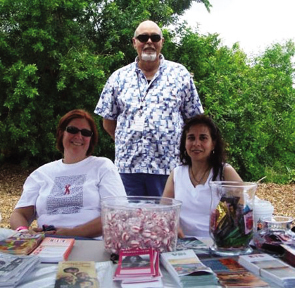 "We work to enhance the lives of people with HIV," said Executive Director Roberto Ortiz. "We link our clients to medical care, pharmaceuticals, dental care, mental health counseling, and substance abuse counseling. We also offer rent, mortgage and utilities assistance; emergency financial assistance; a food pantry; insurance continuation services; and transportation." 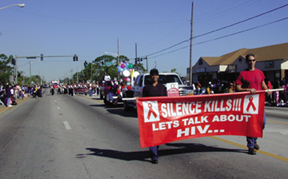 "Another part of our mission is to reduce the further spread of HIV, and to counter the destructive s tigma that still surrounds the disease through community partnerships and appearances at special events," Ortiz said. It's not easy work. "The state has made a tremendous effort to get people tested, so the number of people requesting services has gone up," Ortiz notes. "But our funding has been flat. So some of our support services-transportation, for example-have had to be cut to keep up with medical needs." "We have good communications with the counties we serve and the state," Ortiz says. "We're all in this together and trying to do the best job we can." Hats off to the staff and volunteers of Project Response, Inc., for the good work you do!